Android users are always tech savvy and advance mobile users. That is why there are many Android applications are available to serve the different technical necessities of android users. Many of the web designers and developers are dependent upon their favourite mobile device that they love to do everything in their phone, from surfing the internet to designing, coding. That is why there are many android applications in the Google Play Store which are just perfect for any web designer. Let’s discuss about some of those applications that makes to every web designer’s wish list. This is just a perfect application for those users who needs to access hi/her webserver from an Android device. This is FTP (file Transfer Protocol) Client for Android device. This application offers to upload, downloading, viewing of modification tools that can work with any webservers. This application allows users to access or modify any webserver even without any desktop or laptops. This is a handy source code editor for any Android device. Any web designer and developer would love to have this application in their Android devices. This offers various file editing modes like HTML, PHP or CSS, and the edited file can be saved in the handset and can be forwarded to any mail account. Another specialty of this app is its customizable nature, which means a user can customize it according to their needs. This is a very useful colour picker app for android device. Any web designers need to know the hex code for any particular colour. That is why this application is really prefect choice for any tech savvy android user This app supports four important colour modes like RGB, HSL, HSV and YUV. Adobe Photoshop is invariably most favourite software application for any web designers. That is why this amazing mobile version will unfailingly attract the techie android users. This app allows editing and modifying any picture without any desktop or laptop, within the mobile device itself. This application allows the user to view HTML source code for any website or webpages. Every web designers love to view the source code for any website while surfing. This app is perfect for those who always want to explore the code behind any beautiful web page. This amazing app also allows downloading the entire source code from the mobile browser. Every web designers are very much acquainted with WordPress, and many of them want to access their WordPress site from their very mobile device. WordPress mobile is the solution for their need. By this application user can access and posts to their any WordPress Site. It allows doing anything that can be done in full WordPress Admin Panel. Google Analytics is a site statistic tool from Google. Every webmasters love to visits their Analytics control panel and check out their site statistics. By installing this application webmaster can also check their analytics account and dashboard from their Android Smartphone. This application uses Google Analytics API calls to access any account safely and pull each and every necessary to data to the mobile screen. This is wonderful file sharing application. Dropbox application is also available for Personal Computers. 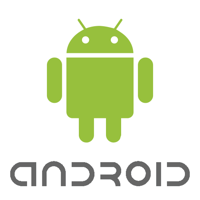 Now this application is also available for Android devices. Use can download or upload data to their virtual cloud account and can access those data and files from anywhere in this world. This application is very useful for any web designer and developers. This is great coding app for android. User can edit and create various kinds of development file even in their mobile devices like a tablet of phone. This app supports PHP, HTML, CSS and many more. It is very intelligent mobile IDE with smart suggestive features. Every web designer always keeps themselves up-to-date with the latest typography. Typography is a major part of web designing. With this application, user can get all updates and news about typography and can get real inspiration for their designing job. Not only, the above discussed applications, but also many more breaths taking android application are available in the Google Play Store Market. Some of the applications help in designing and editing image resources; some of them help to edit and modify the source code. Furthermore, other administrative applications are there who allows the user to administer and monitor their websites. All these applications are very popular among the web designers due to their effectiveness. Truly, these apps are smart enough to impress and attract the tech-savvy web designers. About the author: Alyssa Clarke is a freelance blogger who is passionate about writing. She frequently writes on tech and social media related topics. Lately she has been a lot interested in eco gadgets and hence is a big fan of bornrich.com. She is a social media addict and can be actively found on twitter @alyssagclarke.